A couple of days ago I happened to visit a bike shop in downtown Boston and the owner had an interesting bicycle in the back - very unusual to see in the US. I commented on it, and he uttered this fateful reply: "Oh this thing? Take it, please! Get it out of here!" And he made me an offer I could not refuse - dared not refuse. Before I knew it, I was standing by the Boston Harbor with the bike, grinning like a madwoman at my unexpected acquisition. But once the euphoria subsided, the reality of it hit. Missing a saddle, seatpost and front brake, the bike was not ridable and I lived 4 miles away. There was no way I was rolling it all the way home. It was time to try the dreaded "bike on the T." I had heard horror stories about it from others, but now I would find out for myself. 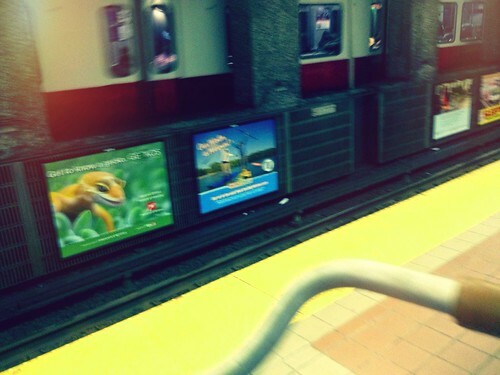 In Boston, bikes are allowed on the subway on weekdays before 7am, between 10am and 4pm, and after 7pm. It was now 3pm, so I was just in the nick of time before the evening rush hour ban. 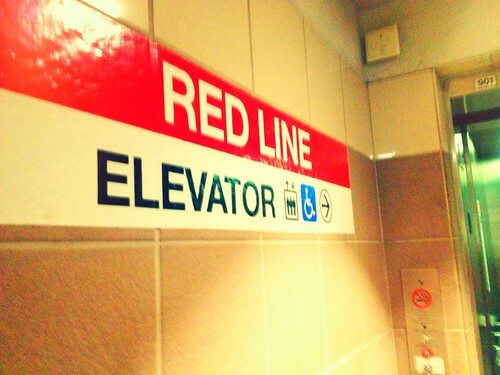 I walked the bike to South Station and looked for an entrance that indicated the presence of an elevator. I could not find one, and rather than try every single entrance decided to carry the bike down the stairs. It was on the heavy side, but easy to hold by the top tube - overall, not too bad. Once underground, I headed for the extra-wide handicapped entrance, slid my "Charlie card" along the electronic reader, and like magic I was in. The bike got a lot of looks from passers-by, and a couple of people asked me sympathetically whether my saddle had been stolen. The station was not too crowded, and rolling the bike along did not present any difficulties. Knowing that a series of staircases awaited in order to reach the platform, this time I made it a point to look for an elevator. I found one pretty quickly. It was a roomy elevator, with plenty of space for bikes, wheelchairs and baby strollers. I pressed the button that indicated the platform I needed to get to, then disembarked when the elevator stopped at that floor. Immediately there was a sign for the platform, but then... more stairs despite having taken the elevator! It is possible that I did something wrong, but the elevator did indicate that this was the correct place to disembark. Confusing, though I was fine carrying the bike down some more stairs. Finally I was at the platform, waiting with a decent-sized crowd of others for the train to arrive. I began to strategise: I would try to enter so as to get in the corner of the car, where I could stay close to the door and have some space. As the train pulled up, I could see that some of the cars were emptier than others, and quickly walked toward one of those. As planned, I was able to get into the corner of the car and stay close to the door. There was even an empty seat, and I positioned the bike in front of me at an angle, so that the people in the seats next to me could come and go without the bike blocking their way. The ride was bumpy, and I wedged the front wheel between my knees in addition to holding the bike, to keep it stable. The other passengers steered clear of the bike and did not bump it or brush up against it, which was nice (when I mentioned this to the Co-Habitant later, he suggested they were probably afraid to get their clothes dirty - the bike looked filthy!). Once the train reached my station, I got up and rolled the bike backwards out of the train - not difficult as we were right by the door. 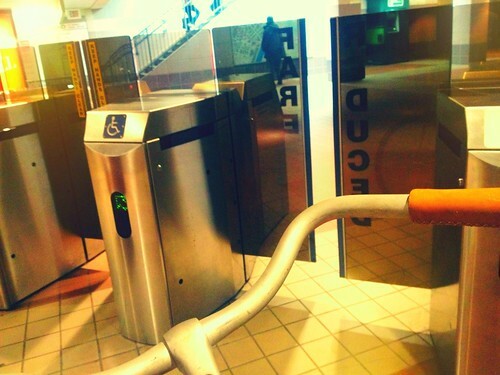 At the station, I decided not to even bother looking for an elevator and took the bike on a series of escalators. Then I rolled it home, which was a 12 minute walk. Overall, I would describe my experience of taking a bike on the T in Boston as unproblematic. It is of course crucial to pay attention to the rules regarding which trains allow bikes and when, and to plan accordingly. If your bike is so heavy that you cannot carry it up and down stairs, I would also suggest looking at station maps beforehand to familiarise yourself with the locations of elevators; they are not always obvious. As the train arrives, keeping an eye on the cars and aiming for one of the emptier ones is a good idea, and looking for a spot in the corner of the car will ensure proximity to the doors. If you find that the car is getting crowded as your station nears, you could warn people that you are getting off at the next stop and will need to wheel your bike out. Other than that, I cannot really think of any additional advice. Somebody *gave* you a Sogreni? Charmed life you lead, madam. I used to deal with very similar issues on the BART system in San Francisco, though at the time (mid-late 1980s), the system was not nearly as flexible as the T when dealing with bicycles. It requires a lot of flexibility on the part of the cyclist/transit rider. He sold it to me, but for a *very* low price. It needs some work and is missing a bunch of stuff, but still the offer was unrefusable. It sure is handy knowing your local bike mechanic. I got a free '85 Specialized Stumpjumper Sport from the mechanic at Richard's Cyclery a little while ago, and we're just now getting around to building it back up. PS - V, I thought I saw you mention that you were going to be in CA at some point. If you can get down to northern Orange County, I would definitely recommend stopping by Richard's Cyclery in Garden Grove. The bikes on the floor are unimpressive, but what he has hanging from the ceiling (and in the attic and in a storage unit and old SWAT truck out back) could be a bike museum in itself. And Richard will talk your ear off if you let him. They're a great shop. What an amazing find! Will you be selling this bike after you are done with it? I most likely will eventually sell the bike, unless I somehow find a use for it. But first we are going to refurbish it and then I'll test ride it and write about it. It needs some work, so I am not sure when all this will be. Corey is correct that the bike is a Sogreni. It is the "Young Shatterhand" model, made in 2008. I will take some decent pictures of the bike and write about it soon. 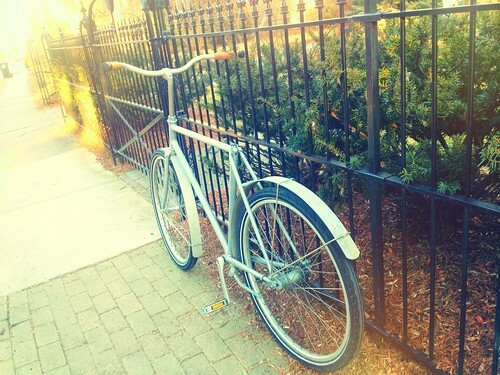 I have taken my bike on the T a couple of times, mostly in the middle of the day, but a couple of times late at night. Never had any problems with the experience, but I would be very afraid to carry it on an escalator. This is actually against the T's rules, and I think for good reason- it could be very dangerous if you lost your balance, which would be simple to do with a heavy bike in tight quarters. Either you could fall, and be hurt by the mechanism at the top, or you could lose control of the bike and hurt others on the escalator, who can't escape if you drop a bike on them. One note, there are special hours for bikes on the T if you're going to East Boston- I forget what they are, but since there are so few good options for biking there from the city, they relax the rules slightly on the blue line. Oops, did not know that and the subway staff (who saw me heading for it) did nothing to indicate that I shouldn't. Will know for next time. If you know how to do it, escalators work fine with bikes. Going up, put the front wheel fully on one step and pull the front brake. Going down, do the same, but with rear wheel and brake. Unless you're carrying very heavy loads or otherwise unbalance the bike, you'll be fine. Of course, if one doesn't feel comfortable doing it, please don't do it. This is actually a recent controversy on the BART system here in the SF Bay Area. There was a move afoot to allow bikes on escalators, but the bureaucrats swiftly stepped in and blocked it, which is astoundingly stupid to me because when carrying my bike up and down stairs, I am much more likely to inadvertently bump it into a fellow passenger than I am if I simply roll it on to and off of the escalator. @Hobbes vs. Boyle: No disrespect intended, but I think you got which brake to lock up backwards. When pointing uphill, a locked up front wheel can easily be dragged off the grooved metal stair, whereas the rear wheel will stay put when locked up because most of the bike's weight is on it, and vice-versa. That is one thing we have done right in Los Angeles. Bikes are allowed on the limited trains/rail we do have at all times. They actually cleared out some seats in the corner of some cars and that area is marked for bikes. I've taken my bike on a handful of times and have also seen at least 3 other people with bikes on too. There is transit in LA other than buses? Not making fun, but genuinely thought there wasn't any. Yeah, we have 7 lines, heavy rail, light rail, and dedicated bus corridors(too cheap to build rail) .Still can't get to the beach from anywhere on it yet, but its happening ever so slowly. Yes, we have a Metro, but it's pretty much useless for the majority of Angelenos. Very limited routes. Nothing compared to NY or the BART or what you have there in Boston. You can go to Long Beach, and it's not too long of a ride to a decent beach from there. Metro Rail is a fairly recent development. It's expanding too! Also most buses have a bike rack on the front to take you and your bike. I can out-pace all but the express buses, but can't out-ride the rails, even with waiting for one, unless going a trivial distance. @Phil Miller. Just depends on where you ride. I ride Silver Lake to Santa Monica and back every day for work. I can make it way faster than the evening bus, and as fast, if not faster in the morning. All of them allow bikes at any time now, and are heavily used by cyclists--including me now and then. I've seen as many as eight bikes on a car. Just the other day I rode form Miracle Mile to Fullerton (about 28 miles) for a meeting, then rode another three miles to the Amtrak station for a GREAT ride downtown, whence I pedaled seven miles home in a beautiful evening. I could have saved eight bucks by taking the Green Line/Blue Lien combo, but Amtrak as just too plush to pass up for eleven dollars. Metrolink, the suburban commuter line, now has $10 weekend passes and also allows bikes. There's quite a bit of rail service in LA, and more being added all the time. And it all allows bikes on board. Richard above is right! Again! LA has a very good public transit system no one believe works. Glad Velouria has discovered multimodal transport. It's a great thing. 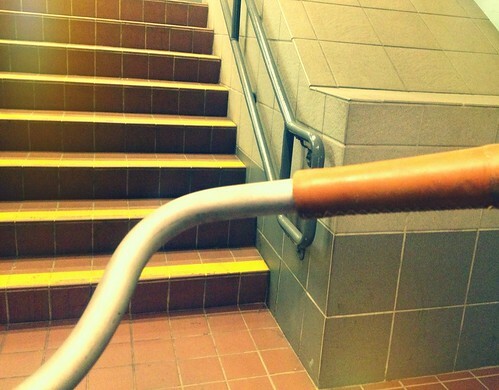 Here in LA we're trying to get Metro to put small bike tire channels into the side of stair steps at stations. These would make it easy to push a bike up or roll down the steps. Growing up near Boston, Los Angeles feels like it's about the size of the state of Massachusetts. So, biking to the next meeting or event for me can be a substantial trip. It's usually about 35 miles round trip most days. If I get tired, the bus and subway help greatly with the vast distances to be covered. LA Metro covers bunch bigger area than Boston's T. Here's the LA distance guide: For me it's 17 miles to downtown, 25 to Pasadena. It's 12 miles to any one of three subway stations from home. Then one can xfer at Union Station downtown to Metrolink. That will get me as far as Ventura (40 miles north), Oceanside (60 miles South) or the more pleasant Claremont (40 miles East.) Or Amtrak has taken me and my bike to Eugene and Albuquerque overnight. The bus is even better for me and all of them have bike racks. Express bus from Santa Monica to Union Station is 45 minutes and $1.50. Wherever I end up - if I can get there, I can get home. If you're in Pasadena at 4PM it a 25 mile pedal or a subway/bus ride. It's great to have the option of a ride home vs riding home. I came here to check out the bicycle give-away, but I am too late! Oh well. On the subject of bikes on the subway... I live in NYC and in theory it is allowed during off-peak hours. In practice, there are really no off-peak hours and squeezing in on the train with a bike... a DUTCH bike... let's just say I cursed the day I was born the one time I did it! I've lived here 5 years and have never taken a bike on the NYC subway. Still don't think I'll have to do it. Knock on wood! Stuff like this makes me glad that I live in a city that is smaller, and which built its light rail relatively recently. The MAX (as our light-rail is known in Portland) is entirely above ground except for one stop in a tunnel, and that one has two huge elevators. None of the stops have stairs or escalators to deal with. The trains themselves have designated spots for you to hang your bicycle from a hook or stand next to it. People take their bikes on the MAX all the time. When I've had jobs in the suburbs, I've taken my bike on the MAX every day. It can get tricky if the train is crowded, I'll admit. I sometimes take my "all steel" Raleigh Superbe on Red Line at night when I don't have the Eye of the Tiger for pedaling home. I get on at South Station, Broadway or Andrew. At South, it's a three elevator trip for your Northbound, only two elevators for my Southbound. I find T elevators to be commodious. My destination -Wollaston - has no elevator so I always make it a point to be at the car door closest to the station's only staircase so I can be first off and dash down the stairs ahead of the horde like I'm in a Belgian cyclocross (but maybe they only carry uphill?). Ends of Red Line cars are variously configured but that's the place to be because (i) you're supposed to be there and (ii) you can usually brace front wheel in car's end doorway or in a corner, which makes a huge difference in keeping bike stable and from bumping into other riders. I urge local readers/riders to try it. Working the T subway and commuter rail off peak hours (T generously defines "off peak") into your itinerary greatly expands your bike horizons around Boston. For example, how about getting on commuter rail at North Station for Newburyport and pedaling out to Plum Island? Lot's of possibilities! I haven't tried the bus bike racks yet; that would be an interesting discussion thread. 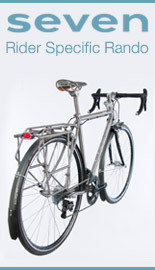 Or does anyone know if it is possible to take bike on Amtrak or bus to New York? A rare unpleasantry: Tuesday night I was loudly accosted by a benighted rider as bike and I got on at South Station around 8 p.m. He loudly claimed I was breaking the rules by not being on an end car and I was ruining the country, etc., with my arrogant disregard of the T's bike rules that he was so sure (and so wrong) about. He grew quite irrational and I was afraid he was going to get physically violent if I disputed him beyond my initial rejoinder, but I had my bike between him and me and he got off at Broadway so an incident was averted. I have also ridden a lot on commuter rail, as you recently mentioned doing. Most suburban stops I've been to have no platform so you know the drill about turning, climbing down and jumping off the narrow stairs. "At South, it's a three elevator trip for your Northbound, only two elevators for my Southbound." Oh phew, and I thought I was going crazy or not following directions! Multiple elevators to reach the platform? That is nuts! 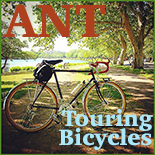 "Does anyone know if it is possible to take bike on Amtrak or bus to New York?" Yes, but not all trains. You have to call them and ask about specific trains/times. The Amtrak & bikes situation is a mess. We take our bikes on the Tri Rail in south Florida all the time. There would be public outrage if they banned it. They tried to build bike "lockers" at each station but it doesn't discourage people from taking the bike on the train. And when its technically only allowed 2, theres like 5-6. We've taken our full size dutch bikes on it with no problems except hauling them on and off the train since the platform is not flush with the train car floor. 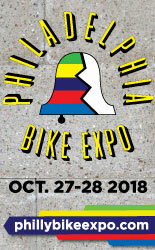 I am forced to take my bike on the train when i visit philly, at least one way, b/c they close the Ben bridge to bikes at 7pm (last I checked). So, I can ride to the city, but if i tarry past 7... I gotta use the Patco. It's quite easy, unless it's too crowded. I gotta tell the truth: if it's only missing the post and saddle, I'd have had the guy at the shop pump the tires up proper, and i'd have gingerly rode it home. I rarely sit when riding my cruisers anyway. I know there's a lot of front brake nazis out there, but i spent a decade on coaster-brake only bikes, and i never died. (Not even once!) Sogreni offers front brakes as an "upgrade", so I suppose they agree with me... You were probably prudent to take the train; I'd have foolishly had the standing-ride home. Congrats on the bike. I've never seen one in-person, but I think those are supremely hott, especially the 26" wheel versions. "Missing a saddle, seatpost and front brake, the bike was not ridable and I lived 4 miles away. " Velouria, you have come so far in your bike riding skills, but you still have so far to go if you cannot ride 4 miles without a seat! i'm with 'daddy; just going with the info provided in your post and pictures, that bike has a coaster brake, a chain, and pedals. therefore, on the rideable/not-rideable continuum: almost certainly rideable. I do not feel that it is safe to ride a bike with no front brake, a coaster brake in the rear, and no saddle, for 4 miles through Boston traffic. YMMV. Over here in the UK I take my bike on the Liverpool underground quite often, never a problem really. Some people will stand in the cycle storage area, sometimes I have to block a doorway. Carry the bike up and down escalators. Not sure I'd try it in London though, the underground down there tends to be a bit busier. I've taken my bike on the suburban train here so it is not underground. I've had no problems with it as a lot of students are always on the same train with bikes. But at my destination I'd have to carry it up, then down, flights of 50 steps. It was hard work but I managed! Yup that's the one. The colour on mine is a little different though, the colour of aluminum you could say. Wow! 2008 you say V? Gotta wonder how such an expensive tailored cycle was so mistreated in a very short time. It was used as a loaner by the bike shop, and it looks like it's seen some outdoor time in the snow & salt. Other that that, I too am curious. Congrats on the new bike. I can't wait to see what you do with it! I want to refurbish it back to its original condition, including the flat Sogreni bell and wire chainguard, get the super-cute unusable rack and polish or replace all the brass fittings. Oh and those flat pedals, have you seen them? 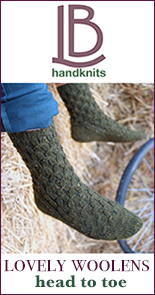 Probably slick as ice when wet, but, you know, must get them too... for science. Sounds like your trip wasn't too bad. Trust me, it could be much worse. While in France for PBP last summer I took my bike on a journey that involved two different Metro lines and an RER line. That ordeal may have been almost as time consuming and painful as riding PBP. I had to carry my bike up and down numerous flights of stairs and escalators. Some of the toll gates had special wide gates for wheelchairs, strollers and such, but many of them have only the narrow turnstiles that forced me to hold my bike over my head as I went through. I had a suitcase with me too (which is why I didn't just ride the bike), so I had to talk strangers into bringing my suitcase through as I struggled through with my bike over my head. Eventually I made it to my destination with my bike and luggage still intact, but I hope to never have to make a similar journey again. I feel sorry for the wheelchair bound in Paris. The vast majority of Metro stations are totally inaccessible to them. Welcome to the world of free bikes. I've had weird experiences with bike transport while living in Italy. It really seemed to be who was operating what trains more than the times of day, and what cities. The one place I noticed that was amazing about it was Pisa. There are no escalators because the station wasn't a very large one, but I had two people who worked for the line help me heft the bike I was renting onto the train and helped me secure it so it wouldn't topple over during stops. Bikes on trains, busses and planes are often discussed in the Foldingbike section of the BF,since most peopel who buy folders do that to travel with the bike. Several times peopel have suggested to go to the website of the company(s) you want to travel with and print out the companys own polycy on bikes. Print it out with at least one extra copy. If you run into problems with staff that do not like bikes and do not know the policy (or rude peopel complaining about your bike) you can politely hand them a copy. Of course you can only do this if you know or suspect that you are going to travel with the bike and V did not know that this time. Given that the need to carry a bike on the subway happened to me once in 3 years, I think it would be premature to determine that I need a long tail or folding bikes - though tempting : ) I normally never take the subway even without bikes; can't stand it. Long story what I was doing there. 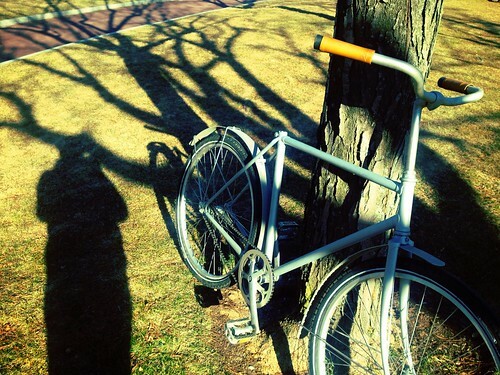 It was one of the few times I did not have my bike with me, and I had gotten there on the subway also. Fate you could say. Sounds like they need to invest in the bike grooves on the stair cases. 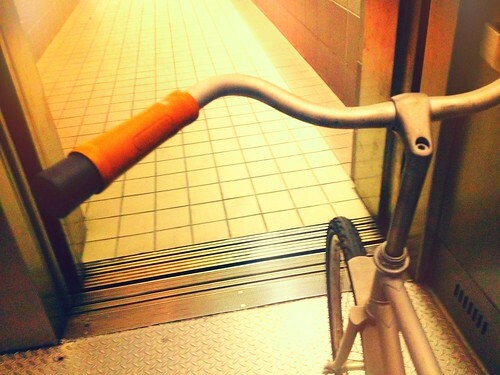 We have them everywhere here in NL so you can easily move your bike up and down staircases. They aren't a difficult thing to do.. probably a lot cheaper than an elevator.